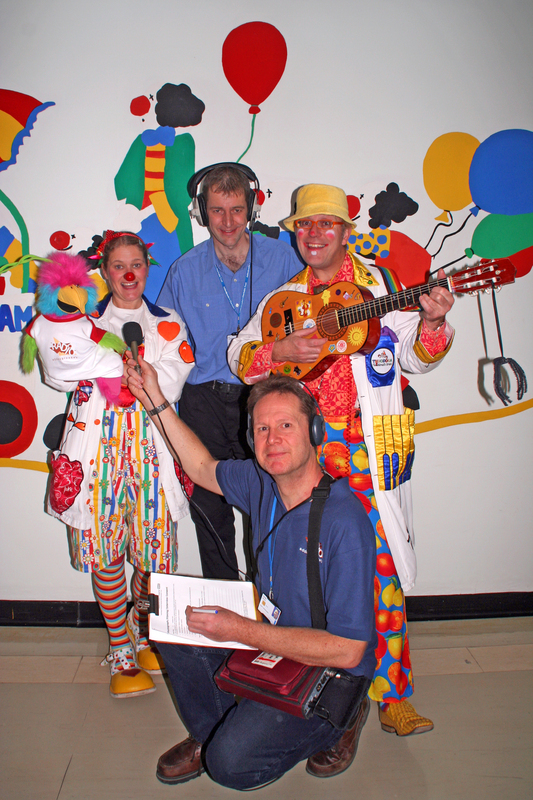 Radio Addenbrooke's has been awarded top prize at the National Hospital Radio Awards for their documentary about the Clown Doctors, who entertain patients on the children's wards at Addenbrooke's Hospital. 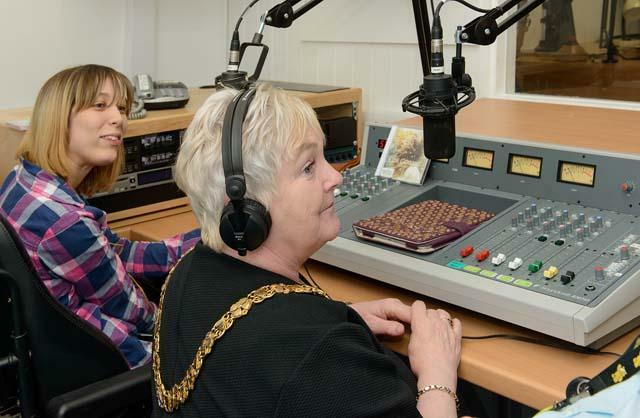 At a gala ceremony at the Hilton Hotel in Blackpool, Radio Addenbrooke's received the Gold Award in the Speech Package category, for which competing stations submit five minute extracts from interviews and audio documentaries. This was the first time that Radio Addenbrooke's had entered this category. The Clown Doctors visit Addenbrooke's once a week to visit young patients and their parents. All fully trained entertainers, their goal is to bring fun and laughter to the children's wards. "It was heart-warming to see the Clown Doctors in action" said Jim Carrington, who produced the documentary along with Radio Addenbrooke's colleagues Phil Rowe and Sam Holloway. "We wanted to capture the sense of the fun that they bring to the wards, and show how they make a real difference to patients." This is the second time in five years that Radio Addenbrooke's has won a national award, having been named Station of the Year in 2004. "We are delighted to have been awarded this prize" commented Richard Saunders, chairman of Radio Addenbrooke's. "It is an endorsement of the hard work and thought that goes into running the station". A high resolution version of the picture on this page is available here and may be used by the press. The picture shows Clown Doctors Dr Kala (left) and Dr Strummalong (right) with Radio Addenbrooke's documentary makers Phil Rowe (front) and Jim Carrington (back). 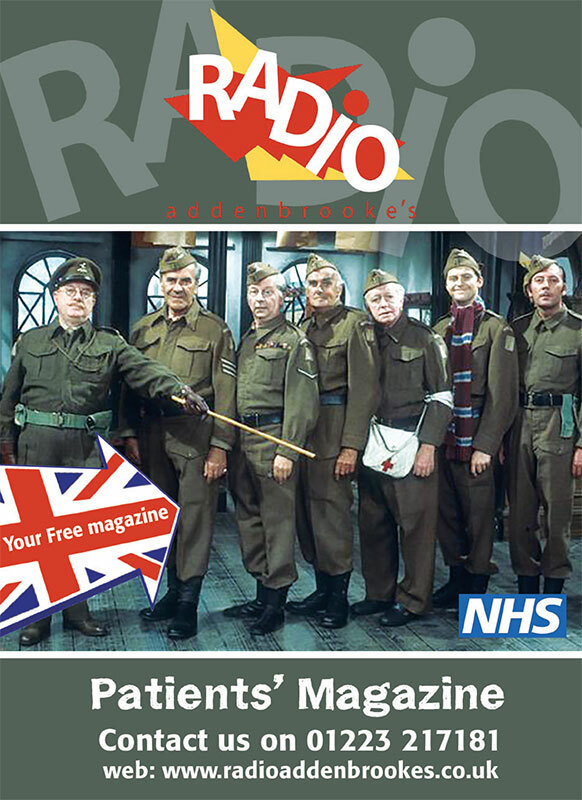 Radio Addenbrooke's is a hospital radio station serving Addenbrooke's Hospital and the Rosie Maternity Hospital in Cambridge. The Clown Doctors visit the children's wards of several major hospitals across the country, providing entertainment and light relief for the patients, parents, and staff. They are supplied by the Theodora Children's Trust. For more information: www.theodora.org.uk.